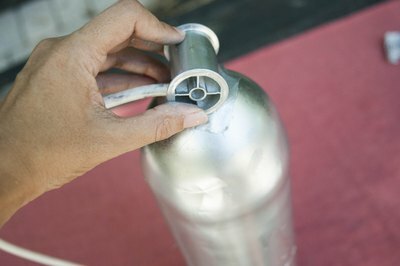 If you are into prop-making or costuming, there may come a time when you need to produce an oxygen tank. Because the tanks are recycled, and their use regulated by health agencies, getting an empty one may not be an option. 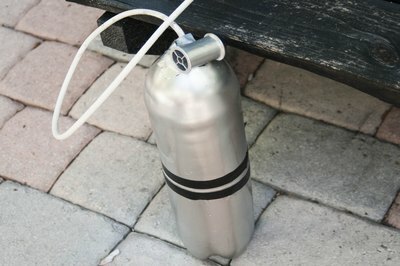 Luckily, making a fake oxygen tank is easy and quick. Whether you need it for a character in a play who has chronic respiratory problems or a scuba Halloween costume, this tank is simple, versatile and convincing. 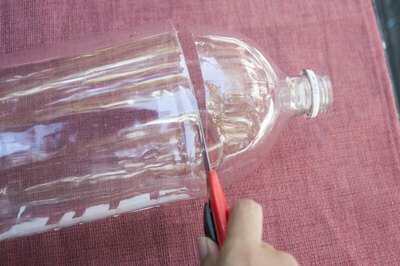 Cut the top off of a 2-liter soda bottle, just below the neck. You want the hole in the top as small as possible. This will be the top of your tank. Next, cut off the bottom 2 inches of the bottle. 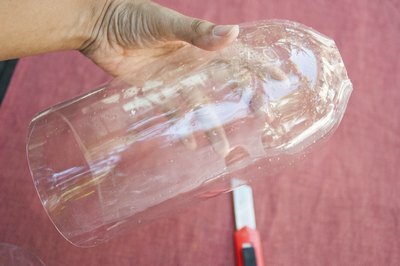 Cut the top off of a second 2-liter bottle, but this time, cut the top off right where it starts to curve in. This gives you a tube that can be connected to the bottom of the other bottle. 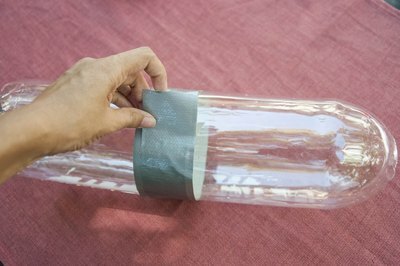 Duct tape the bottles together to create the basic structure of the tank. At the rounded top, use a piece of duct tape to cover the hole. You should now have a structure with a rounded top that looks like a tank. 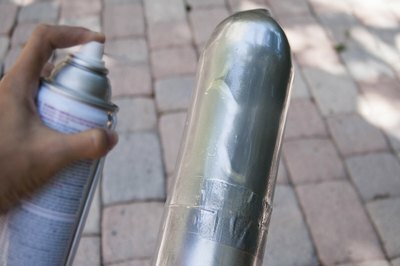 Spray the whole bottle silver, using silver spray paint made to stick to plastics,. You may have to spray on more than one coat. Let the bottles dry completely before proceeding. Also spray paint the empty thread spool. Poke a small hole in the duct tape that covers the hole at the very top of the tank. Insert the end of a length of some plastic tubing into the tank. Using a hot glue gun, make a small circle around the tubing to secure it in place. 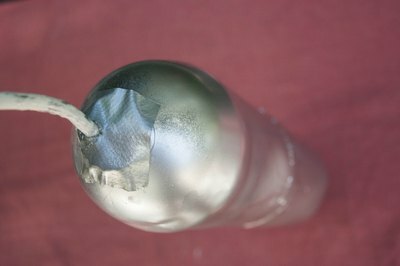 Use hot glue to secure the spool to the side of the tank to serve as your "valve." Use red electrical tape to to make a stripe around the middle of the tank for decoration. You can also use it to make a red cross or use other decals to add authenticity to your tank.